Australian diplomats, now thoroughly compromised by the secret briefings, went along with the charade. They protected the Indonesian military from the consequences of its actions. They said their “immediate diplomatic problem and task” was “to do what we can to reduce the pressure on the Indonesians”. 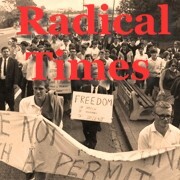 Successive governments acted to shield the Indonesian military from criticism in Australia. Under prime minister Malcolm Fraser, Australia became the only Western country to give legal recognition to the Indonesian annexation. After a particularly shocking massacre in late 1991, then foreign minister Gareth Evans ordered the removal of more than 100 wooden crosses – placed as a sign of mourning – from the lawn in front of the Indonesian Embassy in Canberra. The Keating government ensured that Indonesian foreign minister Ali Alatas received the award of the Order of Australia in 1995. Not to be outdone, Tim Fischer, deputy prime minister in the Howard government, said that Indonesian president Suharto was “perhaps the world’s greatest figure in the latter half of the 20th century”. Official Australia’s support for the policies of the US Military Industrial Complex (MIC) in my opinion shows that many of our political leaders do not give a fig for social justice, human rights and peace on the international stage. This is graphically shown by the history of the US MIC involvement in stopping the Dutch giving independence to the West Papuans in 1962 and then aiding and abetting General Suharto to overthrow a democratically elected government in 1965. This ushered in an era of fascism into Indonesian politics that has seen death, suffering and destruction – not only in Indonesia, but in West Papua, East Timor and Acheh as well. Official Australia has a lot to answer for and I liked your story about the graffiti on the wall of Parliament House at the time that the UN withdrew its personnel from East Timor in 1999 because there was no peace-keeping force there to protect its personnel and the long suffering East Timorese thanks to the arrogance, stupidity and the irresponsible actions of John Howard and Alexander Downer – the “reluctant saviours”who advised the East Timorese to vote to stay within the Republic of Indonesia. Gareth Evans now swans around the world speaking at conferences and seminars about his involvement in peace-keeping around the world. he never mentions his the fact that he aided and abetted the Indonesian propagandists as the TNI butchered the Timorese. Nor does he mention that the governments he served in continued to arm the TNI, train its personnel, provide it with aid and conduct joint military exercises with it and the Australian Defence Force. Alexander Downer, before he became the Australian High Commissioner in London, frequently made dishonest and misleading statements and wrote articles that were dishonest and misleading about Timor. They omitted many important facts so that those listening or reading received no information about Australia’s betrayal. And on the theft of Timor’s oil and gas, they try to put the East Timorese leaders in a poor light and yet, they, the leaders of the richest nation in the region are stealing resources that under international law rightly belong to the poorest nation in the region. And the ALP Rudd and Gillard governments sat on their hands and did noting to change this shameful rip-off. AETFA SA has come in for criticism from some because, apart from raising money for projects in Timor-Leste, it also seeks to push for justice and compensation for all the victims of the TNI while Official Australia tries to cover up what has happened and continues to support the TNI as it continues its genocide, human rights abuses and corruption in our region. Australians also have to be aware that the Australian obedience to the US MIC does not only occur with the connivance with Indonesian fascism in SE Asia and the SW Pacific, but in the ME as well. The ALP and the “Liberals” have virtually the same policies on Israel and Palestine, Afghanistan, Iraq, Libya, Syria etc and sent of Australian youth to fight in US MIC wars in the region. It was interesting to see that several of the panellists on QANDA last night raised the question of Official Australia’s obedience to US policies and were critical. 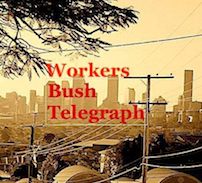 I was interested to read some of the articles on the Workers Bush Telegraph website. Meanwhile the accomplices of the East Timorese genocide inside the parliament got off scot-free. As did the Australian government when it stole much of East Timor’s gas and oil reserves. I remember attending a continuing professional development session circa 2003 which was attended by two tax officers from Canberra. At the end of the session they mentioned that they had negotiated a tax treaty over the Timor Gap oil deal. From the back of the room came a stream of abuse from a another tax officer who accused these tax officials of selling out the Timorese people. Redfaced, the SES officer who had introduced the session signalled for the protesting tax officer to be quiet. Undaunted, the criticism kept coming from my colleague at the back of the room. In the hubub that ensued, the two officers who had negotiated the tax treaty over the Timor Gap eased themselves toward the exit door, left the room and flew back to Canberra. I remember fully believing every criticism launched at these two unsuspecting tax officials. Both the person who made the outburst criticising the Timor Gap Treaty and me were later removed from the Tax Office for other reasons. We had worked in the ATO for many years as technical officers. The quality of our technical work was never challenged. Yet our politics were. The SES officer who conducted the CPD session played a strong part in my sacking for ‘disrespect’ shown to ATO management. While such double standards exist in the parliament, in the public service and in the executive there will be no justice for the Timorese or any other neighbour in our region. Who can absolve the murder of the five journos with the murder of thousands of East Timorese?